Are you interested in Green living on this planet? Are you looking for opportunities to save planet by reducing pollution and waste? Then you are reading right post i.e. 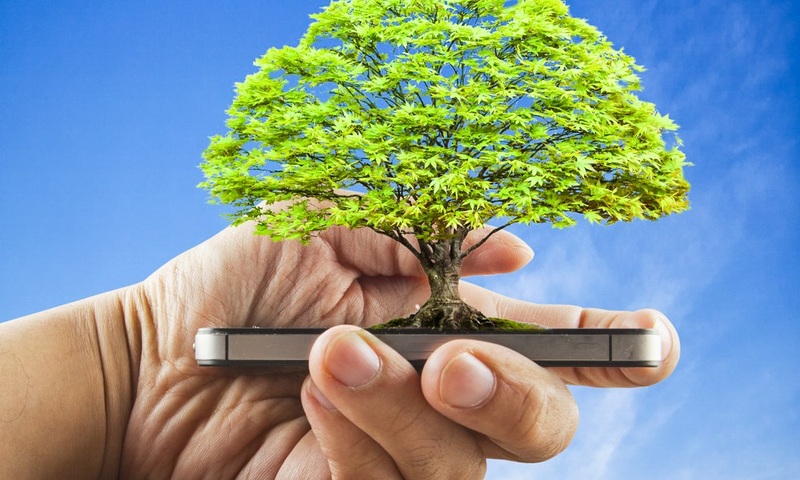 8 Surprising Environment friendly apps for Mobiles and tablets. This post is all about the mobile apps which will help you to live by going green in day to day life. We use mobile for 1.5 -2 hours daily and we can get most out of our mobile by installing below mentioned 8 apps. These 8 surprising Environmental-friendly apps may change your life. Some of them you might already have on your mobile but you might not know their importance. Most of the people leave their mobile charging for overnight and then forget to remove charger once it is fully charged. Ecocharge app by GTA Wireless Company will notify users to remove charger after battery level reaches to certain level. 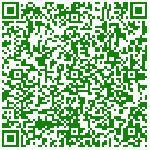 It is one the best & innovative environmental apps for android. This habit increases Li-ion battery life by 2 times if max level is set to 90% of full capacity. Also leaving charger after battery is fully charges is waste of electricity. We know that one tree makes around 8000 sheets of papers. As now we moved to digital world demand of papers has been decreased. Now we think before printing considering the environment. “PDF Utilities” app by MDev Germany can remove blank pages included in document before hitting simple print command. If this app used widely then, it can save lot of papers on the earth. You might be surprising by seeing this app in Environment friendly list, but this is travel app which can be used for carpooling from city to city ride. If you are travelling for long distance, looking for sharing cost of travel, get social in journey and want to travel in comfort then this environmental app for android & iOS is made for you by BlahBlahCar. We can reduce pollution by carpooling as it reduces unnecessary pollution caused by number of vehicles and at the same time it can save money. Remember three R’s from Reuse, reduce and recycle. This eco friendly app is all about three R’s. This app lets you to buy, rent, sell or find anything online. People can sell used products like mobiles, bikes, electronics, cloths, sports accessories etc. 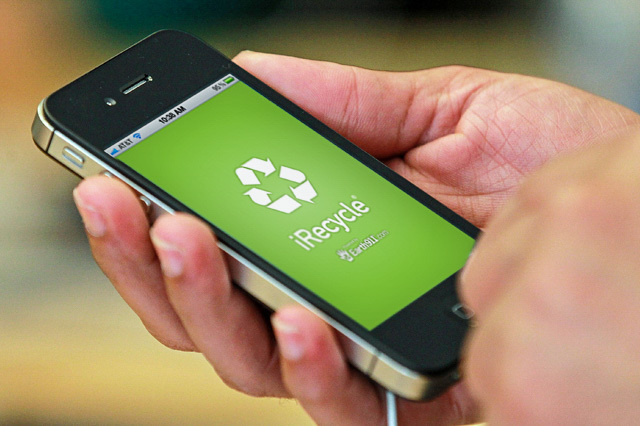 Without this app recycle, reuse and reduce could not have been easier. This environmental friendly app has made all R’s easy to implement in real life. This is Health related app but what is it doing in surprising environment friendly apps? Keep reading you will come to know. This eco friendly app can track any physical activity like running, cycling throughout the day from your phone. It can record your time, speed, route and help you to keep motivated so that you use less bikes or cars for shorter distance. Billions of litres of fuel is wasted in traffic, and we can ease some tension by commuting to office using cycle or bike and keep motivated from using this app. It also supports smart watches. As we all know that travelling from public transport is the most effective action individual can take to save environment and energy. Using personal vehicles can waste fuel in traffic and increases pollution. This “m-Indicator” app can help you to track next train timing from nearest railway station to your destination. It can also provide information on live train status, less crowded train’s indication, ticket prices. It gives information about bus Numbers, routes, timings, buses arriving particular stop and user can search for buses to destination routes. It also provides auto-rickshaw and taxi fares, PNR status check, Movies, Picnic Spots etc. from their app. User can plan their journey by utilizing this environmental friendly app for Android and iOS to save environment by using public transport. Recently Launch or publishing of ebooks on stores has their benefits. They can save paper, instant delivery, takes less space, Adjust fonts etc. No need to keep dictionary with you as it can redirect to word meaning from google search. There are multiple apps available on playstore for ebooks but Aldiko book reader is favourite. It supports most of ebooks format. It has advanced library management system where you can import your own ebooks and read them on the go. Also it has very nice in app shopping experience. These type of green apps have reduced use of papers and so the reduced pollution as well as saved many trees. Now you might be completely surprised, Gmail is default app and how can it is in list of environment friendly apps? Consider you one day without emails but all mails enclosed in envelopes. Within hours you may go under stacks of papers. Your newsletters subscriptions, Bills, Status, social activities are delivered by Gmail that to also in fraction of seconds. Just imagine how much time it may take to deliver each envelop to you physically. Also it can reduce use of paper, it is fast, great advertising medium, has great reach of people. Also we can reply sender with our attachments instantly. It saves millions of Hours, billions of litres of fuels, billions of papers and trees and that is the reason it is the best environmental friendly green app we have in our Surprising environment friendly apps for android list. Read our Recent post on ways to go green at work. Do you think is there any app we have missed in our best green apps list, let us know in comments. This Article is written by perfect Pollucon Services. They are Environmental Consultants in India and Offer Environmental Services.